According to the National Fire Protection Association (NFPA), almost two-thirds of deaths resulting from a home fire were in homes without a working smoke detector. Because smoke spreads fast, a working smoke detector is a key safety device that can warn you of a fire so that you have time to get out of harm’s way. 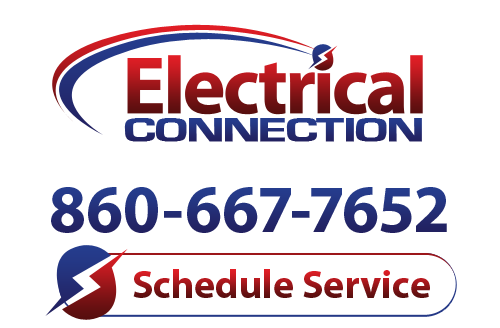 At Electrical Connection, Inc., we can install and test smoke detectors in Central Connecticut and in homes or businesses throughout the state. Here are some smoke detector safety tips that we have gathered from the NFPA so that you can be sure to be safe in your home or building at all times. Make sure to install smoke detectors in all bedrooms in your home. Also install one outside each sleeping space on every level of the home. Basements should also have smoke detectors. All the smoke detectors should be installed according to the local fire codes and interconnected throughout the home so that when one alarm goes off, they all do. Make sure you have the right type of detector installed. An ionization smoke detector will be more responsive to flaming fires, while a photoelectric alarm is more responsive to smoldering fires. Check with your local electrician or fire department, but in most cases, both types of detectors , or a combination of detectors, are required in homes. Always test your detectors often using the test button. The NFPA suggests monthly tests. Install all smoke detectors by following manufacturer’s instructions. Call an electrician for best results. All hard-wired alarms must be installed by a licensed electrician. Replace batteries in your smoke detectors at least once a year. Replace all broken smoke alarms, especially if they are older than 10 years and do not respond to monthly tests. If you have children, consider a smoke detector with a recordable voice announcement in addition to the usual alarm sound. It may be helpful in waking children by using a familiar voice. If you or someone in your home is deaf or suffers from hearing loss, ask your local electrician about smoke detectors with added features, such as strobe lights or vibration devices. Have a home fire escape plan and practice it during your monthly smoke detector tests.